You can’t leave your pets money, but you can still give them a good life. the new caretaker has the resources to take good care of him or her. When planning for your pet’s life after your death, you have a range of options – from making simple, non-legal arrangement, to making a complex trust, to leaving your pet with an organization dedicated to taking care of pets after an owner’s death. To make any of these arrangements, you need to find a person or organization that you trust to care for your pet. And that person or organization needs to be willing to do it. So no matter which option you choose, have a candid conversation with your pet’s potential caretaker about how to care for your pet and how expenses will be met. Again, you cannot use your will to leave money or property to your pet. If you try, that money or property will be included in your residuary estate, see “What If I Don’t Make a Plan,” below. However, you can use your will or living trust to leave your pet -- and money to care for your pet -- to a trusted caretaker. Ben’s health is failing and he’s concerned about what will happen to his four-year old lab mix, Sarah, when he passes. He talks to his brother John about taking Sarah after his death. John knows and loves Sarah and would like to take her, but he is on a very tight budget and is not sure how he’ll pay for Sarah’s food, vet bills, and occasional boarding. Ben decides to use his will to leave Sarah to John, and he also leaves John some extra money for Sarah’s care. This type of arrangement is legal in the sense that Sarah will legally belong to John. However, John will have no legal obligation to use the money on Sarah – he will receive the money outright. If he used the money to play the lottery, there would be no legal recourse. It’s also a good idea to name (and talk to) an alternate caretaker, in case your first choice cannot do the job. I leave my black lab mix, Sarah and $,1,500, to John Henderson, with the hope that the money will be used for Sarah’s care and maintenance. If John Henderson does not survive me, I leave Sarah and $1,500 to Jenny Berg, with the hope that the money will be used for Sarah’s care and maintenance. If you want to include a pet bequest in your will, you can use Nolo’s Quicken WillMaker Plus which makes it easy to include a pet clause. Or, use Nolo’s Lawyer Directory to find a lawyer to help you. Leave an amount of money to be used for pet care. Describe how the pet should be cared for. Name a person to go to court and enforce the terms of the trust if necessary. State what should be done with any money that’s left over when the animal dies. Describe how your pet should be cared for if you can’t take care of him or her before your death. Advantages to using a pet trust. Pet trusts 1) create a legal obligation to care for your pet (as you describe), 2) provide accountability for the money that you leave to the caretaker, and 3) allow you to set up a caretaking plan that will take effect if you become incapacitated. Disadvantages to using a pet trust. Pet trusts are 1) expensive, 2) inflexible if circumstances change after your death, 3) likely to be more planning and structure than you need if you trust your named caretaker. Pet trusts are available in all states. Learn more about Pet Trusts. The easiest and most flexible arrangement for your pet doesn’t require formal legalities. If you fully trust your executor and the person who will care for your pet, and you are confident that no one else will claim ownership of your pet, simply tell your executor who should care for your pet when you die. As long as everyone involved is in agreement, there will be no problem for your pet to go to your chosen caretaker. Sylvia and Henry are newlyweds. 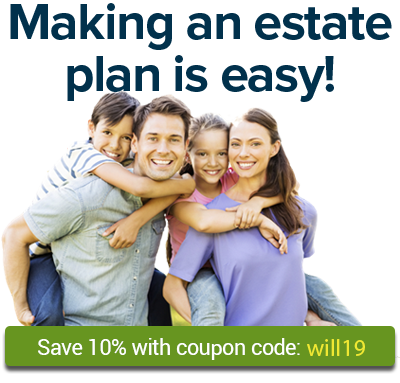 They make simple wills leaving everything to each other and naming each other as executors of their estates. Sylvia came to the marriage with a Siamese cat named Oscar. There is no love lost between Oscar and Henry; they tolerate each other’s presence. Sylvia tells Henry that if she dies, her mother, who loves Oscar, has agreed to take the cat. She is confident that there is no one else who would want Oscar. If Sylvia were to die, Henry could give Oscar to Sylvia’s mother with no problem. However, if there is any possibility of disagreement about who should own your pet, it is a good idea to make a legal arrangement in your will or through a pet trust. What If You Don’t Make a Plan? If you don’t make arrangements for your pet in your estate plan, who will get your pet depends on what other arrangements you’ve made, or not made. If you have made a will, your pet will go to your residuary beneficiary – that is, the person you’ve name to get the remainder of your estate after any specific gifts have been doled out. If you haven’t made will, all of your property (including your pet) will be distributed according to the laws of your state, through intestate succession. Read more about Intestate Succession. For more about legal issues with pets, go to the Pet Law section of Nolo.com. To learn more about how to plan for your pet, go to the Pets and Estate Planning section of Nolo.com.